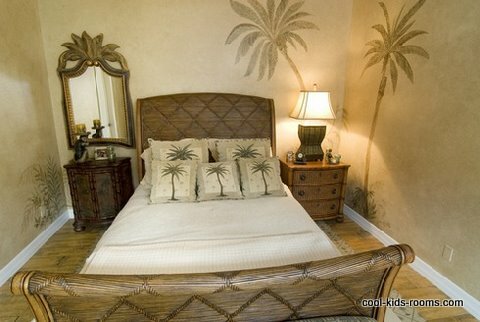 Using photo wall murals might be a great alternative to painting wall murals. Kids have a natural ability to escape into a world where they are limited only by what they can imagine, so go ahead and complement their fantasy by decorating their rooms with customized wall murals. For children who have a wild imagination, or children who want to replicate a favorite theme, ready-made wall murals are available to accommodate every flight of the imagination. Does your child have a favorite rock star or sports hero? Does she fancy herself an astronaut? Does he want to be a doctor in a big hospital? Choose from thousands of photographed themes that can be customized to your wall size. Large size wall murals for children are cut into sections (units) to facilitate an easy installation; it’s attached to the wall in the same manner as wallpaper. If you have toddlers and pre-school kids who are afraid at night, photo wall murals of Mom and Dad, or a Celestial theme with Guardian Angels can soothe those bedtime fears. Photos are realistic visual representations, so replicate something that evokes a fond memory or promotes an inspirational mood. Spend a little or spend a lot; the choice is yours. 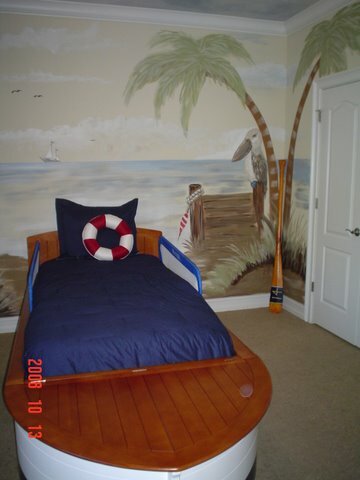 Painting wall murals are fabulous ways to create special themes, but unless you’re an artist, it usually involves hiring a professional who specializes in painting wall murals for children. If you’re on a budget you can do-it-yourself with paint-by-number murals that are transferred onto the wall with either transfer paper, or by using a projector and tracing the pictures onto the wall. Once you have the outline traced, just fill in the color with non-toxic acrylic paints. Paint a mural on a fabric canvas if you want to keep it as a memento. It can still be attached to the wall the same as wallpaper, but it’s easily removed for safe-keeping. 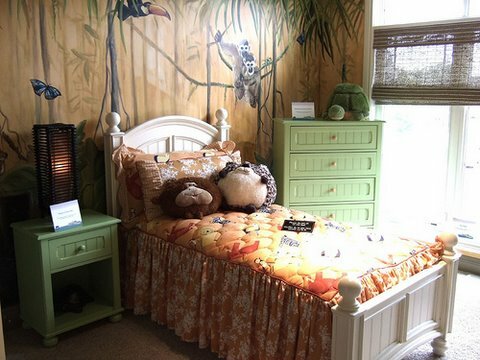 Create a “wow” room with stencils. They’re a little more expensive than the paint-by-number murals, but they offer a lot more choices for customizing scenes. Stencil wall murals can be purchased in kits – everything you need, including wall design, paint and brushes – or you can combine several stencils to make your own design. Using overlay stencils will add depth and detail to the design and to make it look like an artist’s masterpiece. 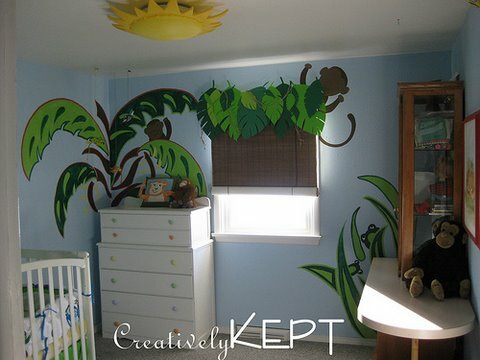 If you have siblings of different ages sharing one room, big wall murals for children may not be practical; sticker wall stencils and interactive wall art may be a better choice to customize murals for both of them. Determine a theme, set the color scheme, and then choose the wall mural that speaks to your child’s imagination!